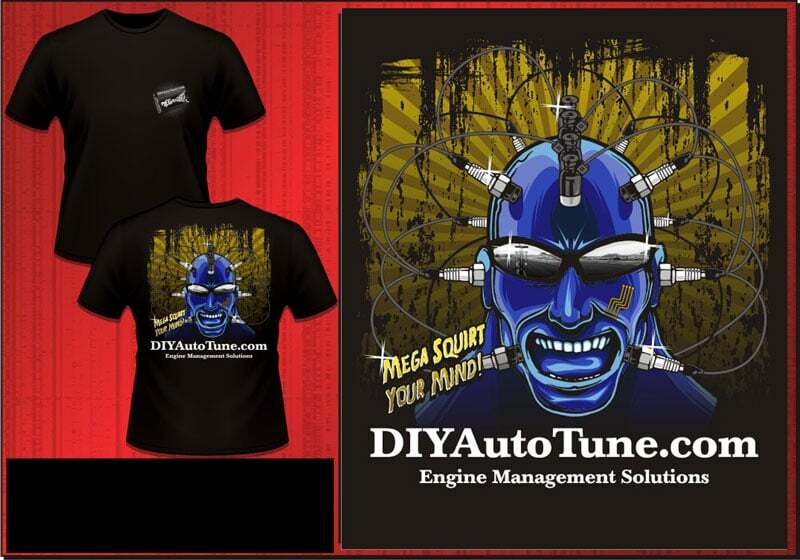 New T-shirt design - "MegaSquirt Your Mind" - Miata Turbo Forum - Boost cars, acquire cats. that makes me laugh. ill get one with my next order, so people can laugh at me. 4 injectors and 10 spark plugs? guys guys... tshirts are now all front graphics and no back graphics. get with the scene! You must of missed the new deal man, you put the graphics on the back of the shirt, but then wear the shirt backwards so they are still on the front. Only then will other people want to be you. a friend brought me back a Hiroshima Carp (baseball team) shirt with nothing on the front and "hiroshima" spelled out in the shape of a fish on the back. neat shirt but it feels backwards. Quick Reply: New T-shirt design - "MegaSquirt Your Mind"